India-based car manufacturer Tata has patented its own chassis design, called ALFA. The versatile platform is designed to accommodate all kinds of drivetrains, including all-electric, electrified, diesel and gasoline. The company brought its first ALFA-based car, called Altroz, to the 2019 Geneva Motor Show in Switzerland. 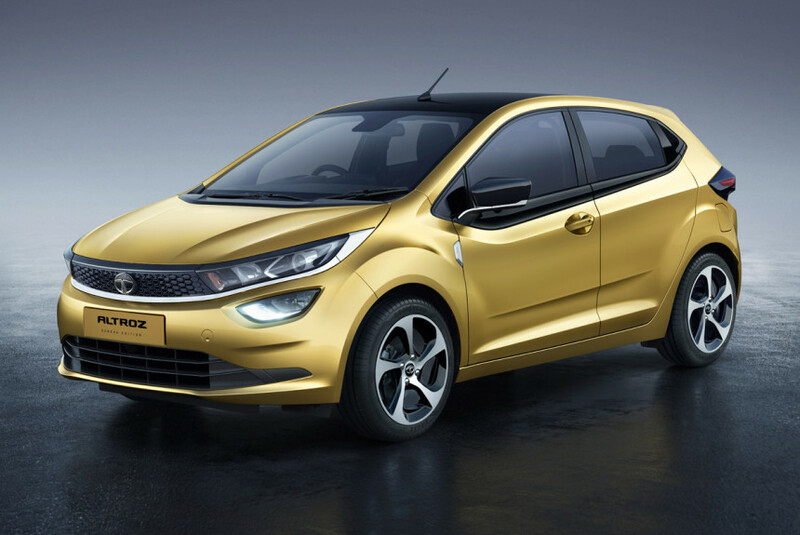 The hatchback is a mass-issue version of the Tata 45X Concept the manufacturer revealed last year. Once it ships, it will mainly have to compete against the Honda Jazz, Hyundai Elite i20, and Suzuki Baleno. The vehicle measures 3,988 mm (13'1") long, 1,754 mm (5'9") wide and 1,505 mm (4'11") tall with 2,501 mm (8'2") between the axles. The company says the car will benefit from quality interior upholstery, climate control, engine start/stop button, a 7" multimedia display, and a small-sized color LCD on the dashboard. The Geneva show car came equipped with a 1.2-liter three-cylinder turbo engine rated at approx. 100 hp (75 kW) and 140 Nm (103 lb-ft) of torque. Also designed by Tata, it currently only links to a five-speed manual transmission, but the manufacturer promises to start offering semi-automatic later on. Other engine options include a simple nanurally aspirated engine with 85 hp (64 kW) and a 1.5-liter durbo diesel with 90 hp (67 kW). Along with the regular Atlroz hatchback, Tata showed us its all-electric counterpart called the Altroz EV. It is still a work in progress, so no specs are being revealed at the moment. The manufacturer still does mention that the car will offer around 300 km (186 miles) of range and will be able to replenish its batteries from zero to 80 percent within an hour. Tata will launch the EV in 2021. Its non-electric counterpart will ship this summer priced starting from U.S. $7,200.